This page shows the latest Kanuma news and features for those working in and with pharma, biotech and healthcare. 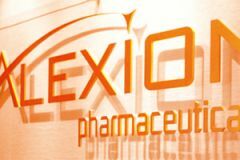 NICE also turned down Alexion's other new enzyme replacement product - £500, 000 per year Kanuma (sebelipase alfa) for lysosomal acid lipase deficiency (LAL-D) - earlier this year. Janssen. MCL, CLL, WM. sebelipase alfa. Kanuma. Alexio. Lysosomal acid lipase deficiency (LAL-D). This agreement brings access to Kanuma (sebelipase alfa) which is in registration for the treatment of lysosomal acid lipase (LAL) deficiency. ... Corporate acquisition. Rare diseases portfolio including Kanuma (sebelipase alpha) for LAL deficiency.